Some consoles get cloned a lot. Others don't get cloned at all. 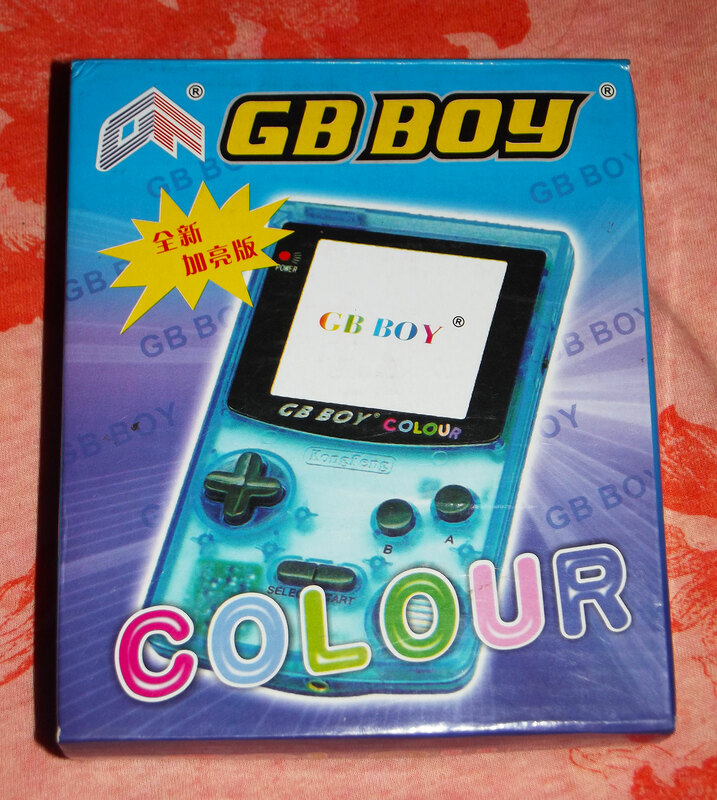 A rare few occupy the strange middle ground where they were cloned maybe once or twice, but the clones never really caught on; one of those is the Game Boy Color. Strange, given how popular it was, and how much pirated software exists for it - the original Game Boy saw a few clones (though still not many) but the Game Boy Color had... two, that I know of. 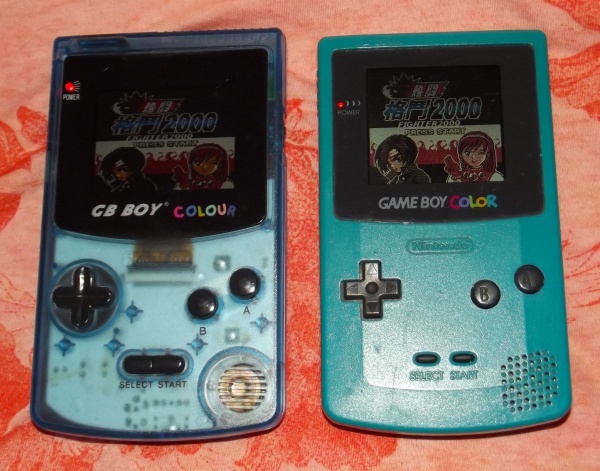 Both of these were from the same company, which is either called Gangfeng or Kongfeng Industries depending on how they feel like romanising it, and both saw a brief production run in China but were never really exported. Today I'll cover the first, and I'll come back to the second some other time. Aside from the name and the slightly redesigned buttons, it does look an awful lot like a Game Boy Color, and in fact it feels a lot like one too; the plastic is really high quality and it doesn't feel cheap at all. The link cable port is present and correct too, and there seems to be an infrared port although I'm not entirely sure if it works or not. And you'd probably never notice anyway since only about three games used it. 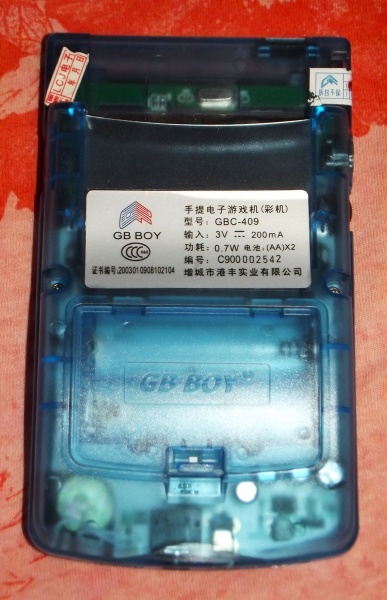 It takes 2 AA batteries just like the original, and the battery life seems decent enough, although sometimes it seems to drain one of them for no particular reason when the console is switched off, so maybe don't leave them in. It also takes the same AC adapter as the original - they really have gone all-out with the cloning here. 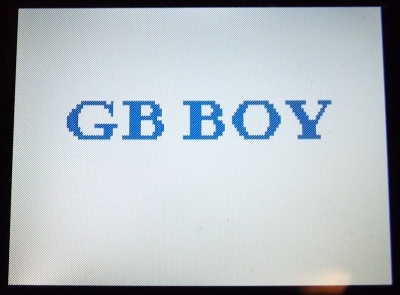 Switch it on and you see the GBBC's major improvement over the original... the screen is backlit! 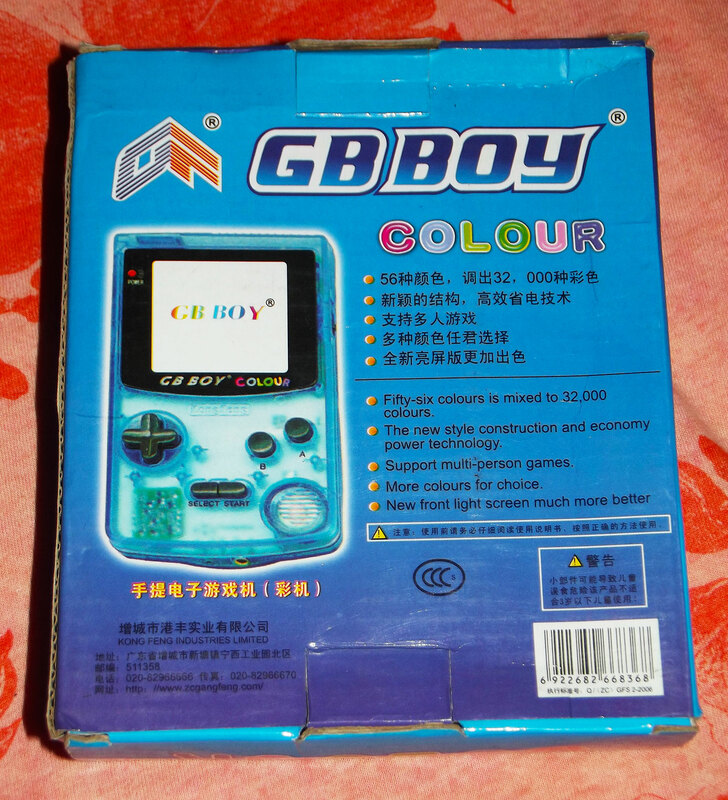 (Despite the box claiming frontlit, which must be a first - a clone manufacturer understating the capabilities of their clone?) 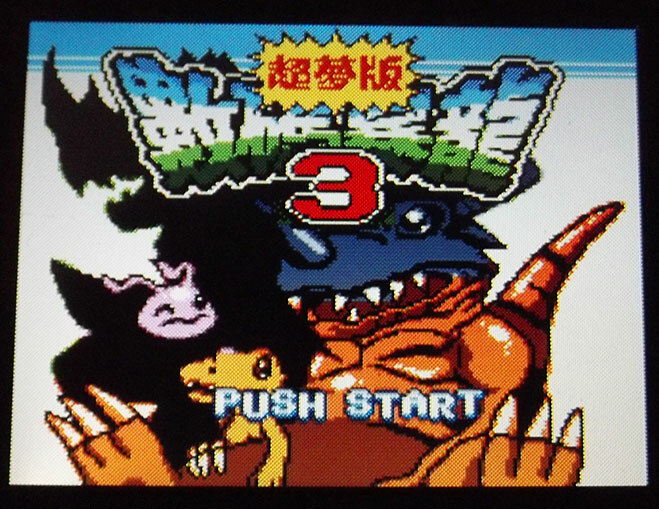 The screen does have a slightly stretched aspect ratio (probably to be expected, I doubt anyone makes GBC-standard screens anymore) but it's generally lovely. 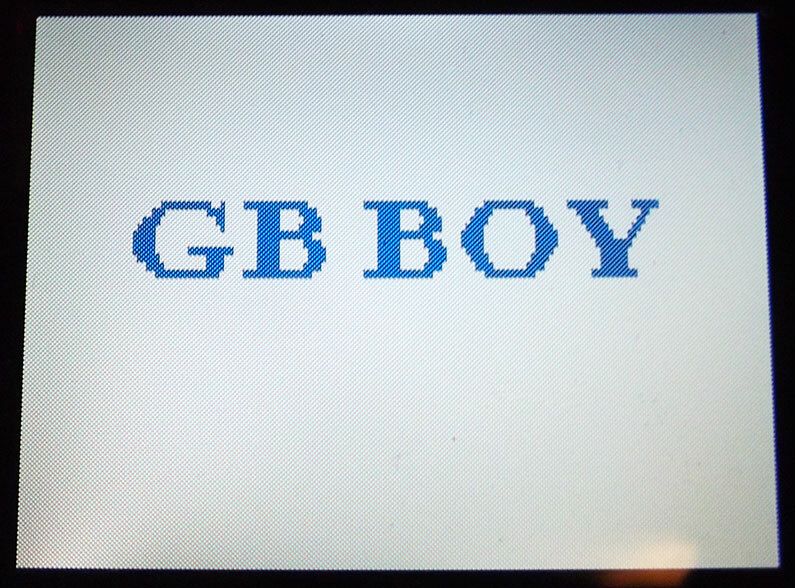 The boot screen here is much like the original, even with the familiar Game Boy boot sound; instead of "GAME BOY" it says "GB BOY", but they've also (perhaps inevitably) hidden the Nintendo logo (while still checking for it internally), which is a shame because it means you also don't see any of the fancy custom logos used by unlicensed game makers. 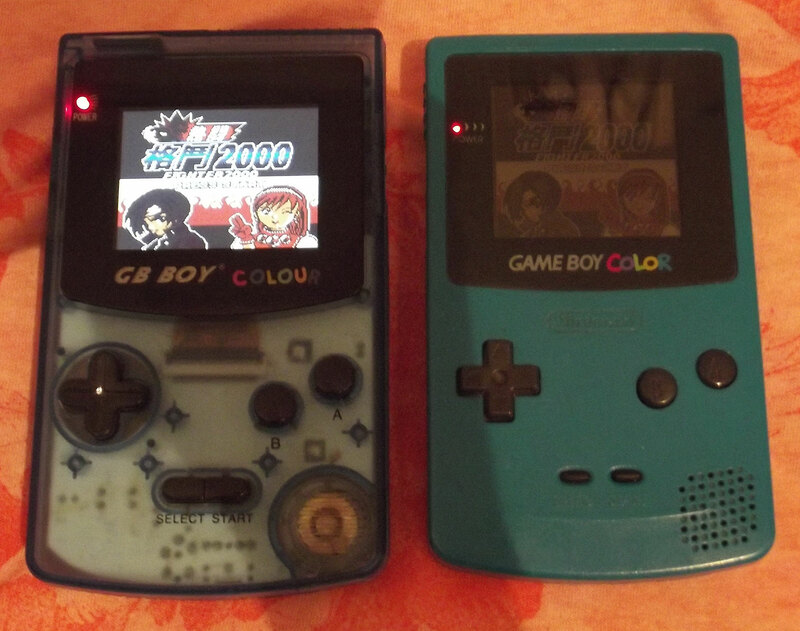 If you run a mono Game Boy game it supports all the same colour palettes as the real thing; it does seem like they've cloned the boot ROM exactly. 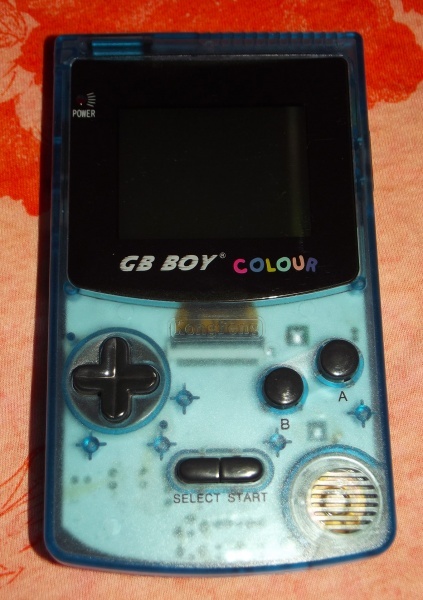 It even runs an Action Replay with no problems. The one exception I've found is a single multicart that won't boot on the GBBC but does on a real GBC, but it's probably some odd mapper trickery on the cart to blame. Running the same game side by side with the real thing, the GBBC does seem to be very very slightly slower, but nothing noticeable in normal play. Sadly, no clone is without its flaws, and the GBBC has one or two. The biggest, for me, is that the internal speaker only seems to be wired up to one of the stereo audio channels (either left or right, not sure which); this means for games that make use of stereo you'll lose out on anything that only comes through in the other channel. Some games are quite badly affected, others aren't affected at all. It works fine with headphones though. The screen covering is unfortunately very susceptible to scratches, as well; mine sits in a drawer most of the time with nothing on top of it but it has still somehow accumulated more scratches every time I take it out - you may want to invest in a screen protector (a generic mobile one cut down to size should do the trick) if you get one of these. Despite all this, though, it's still a very impressive clone, and if you're willing to use headphones to sidestep the audio issue it's a great way to play GBC games on a much nicer screen.